Recently I have come across a new travel bag called the Cabin Zero which is focused towards the new wave of ultra-light hand luggage traveller. As a cabin bag only traveller since 2010, I’m always on the look out for the next big bit of kit. 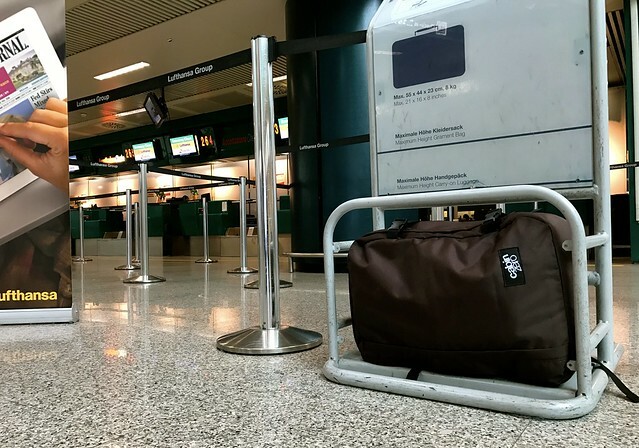 I managed to get my hands on a Cabin Zero classic 44L ultra-light cabin bag – Cuban Brown. 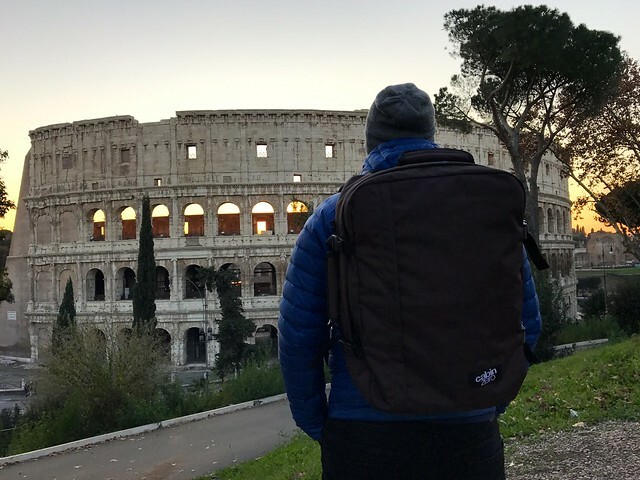 This blog post is all about how I got on with the Cabin Zero bag after a test trip to Rome, Italy. Enjoy the review! If you wish to start travelling with hand luggage it can be a tricky endeavour to start with. The great thing about Cabin Zero is they have all the baggage measurements covered. The Cabin Zero classic model has been specifically designed to fit into all cabin-sized spaces to make sure you don’t go over the limits. 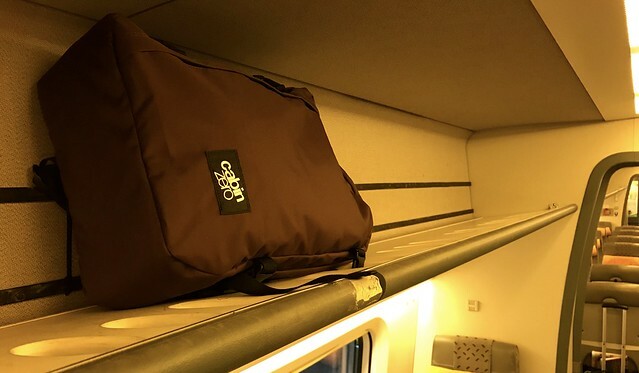 Perfect for first timers as the bag has been build from the ground up to fit into cabin-sized spaces so all you have to worry about is the weight limit. One less thing to worry about when you pack for your next flight. I’ve seen similar bags that do a similar job and they look cheap and terrible at design. Creating a bag to fit cabin size dimensions is a great idea, but practicality isn’t everything. Style is just as important as you want to love your bag if it’s going to get a lot of use over the years. You get a warranty for 10 years with Cabin Zero. This is a bag that will stand the test of time and travel with you around the world. With a wide range of styles, colours and choices you can pick a Cabin Zero bag to match your style and personality. Happy days! Travelling can be fun after all. 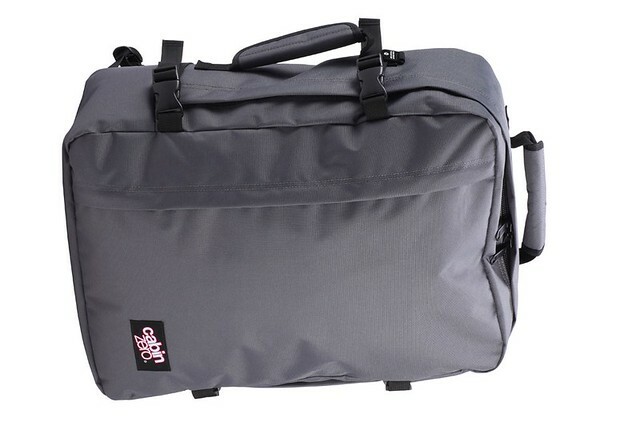 I like the practicality within the design of Cabin Zero bags as they do have the traveller in mind. Having handles on the top and side allows you to easily carry your bag in multiple ways for different situations giving you more options. I’m also a fan of the compression straps on the side of the bag so you can push out unneeded air saving you valuable space and making your bag more comfortable to carry. Very happy with the quality of my classic 44L Cabin Zero model. It’s been well designed with the traveller lifestyle in mind. As I’m frequently on the road, it’s important to me that my bag doesn’t break down as I rely heavily on its performance. With a front zipped pocket with inside zipped and mesh pockets, this is perfect for storing passports and documents. Waterproof polyester lining to avoid your stuff getting wet in light rain. Lockable YKK Zippers on main compartment for additional safety (lock not included). 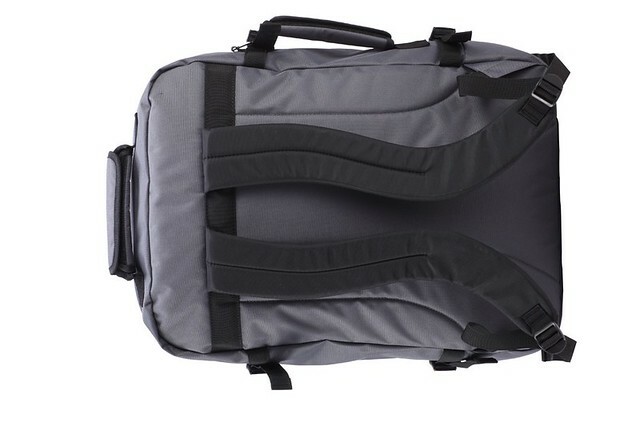 Thick padded shoulder straps, fully lined to ensure maximum comfort. Overall after a few trips road testing the bag, I’m very happy with how it’s performed, and can’t wait to keep using it over the future years. My number one packing tip for travelling light is to organise all of your items into packing cubes. The last thing you want to do is rumble through your bag to find one item. Split up your stuff into categories and use packing cubes to easily organise and find your items. 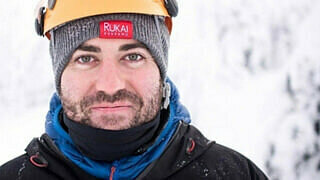 What I like about Cabin Zero packing cubes is they have been specifically designed to work with Cabin Zero bags so they fit perfectly like a glove, saving you much needed packing space. 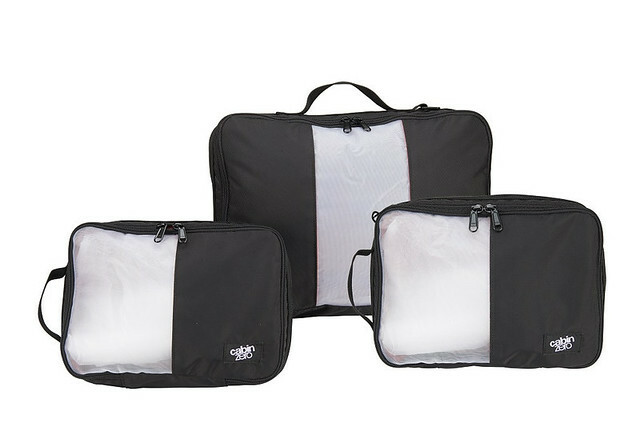 Packing cubes really make packing light a lot easier. Worried about forgetting your luggage? 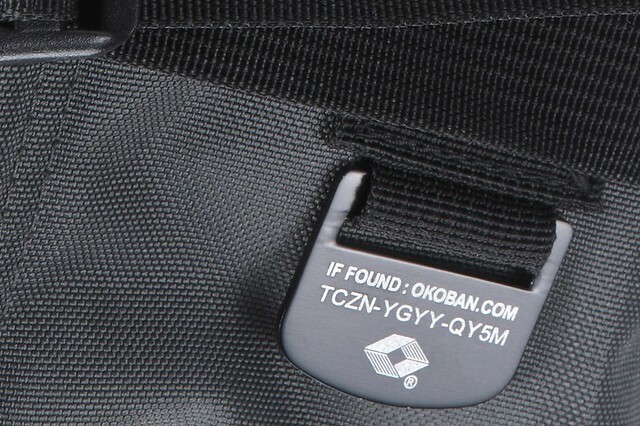 All Cabin Zero cabin bags (including the Cabin Zero packing cubes) come with a unique OKOBAN tracking serial number on each bag. Very simple to set up as well. Simply visit the OKOBAN website, type in the serial number on your bag tag and register your personal details. It’s as easy as that. Then if you forget your bag, anyone can visit the OKOBAN website, type in your serial number and help track your bag back to you. Many airlines and airports are aware of how OKOBAN works, giving you a sense of security that your bag will make its way safely back to you if you’re forgetful like me. Not a bad additional feature for your Cabin Zero cabin bag. I’ve reached out to Cabin Zero and asked if they would be willing to give a discount for readers of Travel Dave. They’ve very kindly given 10% off your first order over at Cabin Zero. Offer is for a limited time only so act fast to grab the discount. This code will expire in late February (now is your chance!). Thank you for reading my blog post about Cabin Zero. 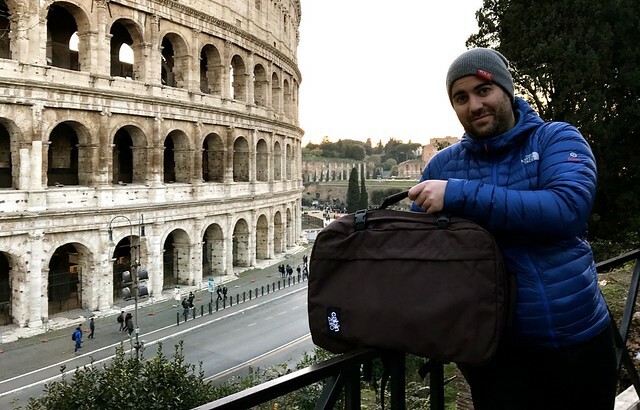 Thank you for reading my blog post about my Cabin Zero cabin bag, I hope you found it useful. If you do have any further questions, I’m very happy to help. You can leave a comment below in the comment section of this blog post. Thank you for reading.